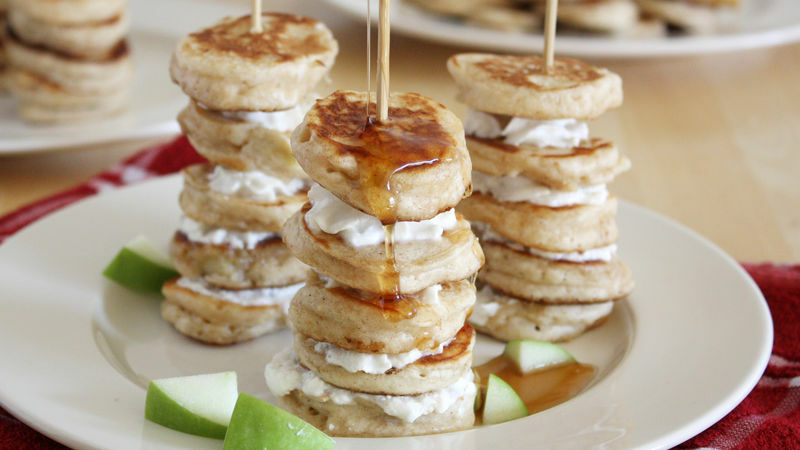 Place 4 to 5 pancakes on each skewer with dollops of whipped cream between each pancake. Top with syrup, and serve. Alternate pancakes with pieces of apple instead of whipped cream for a more transportable version of this recipe. Serve pancake kabobs with fruit on a stick and sausage on a stick for a full kabob-style breakfast.